Built-in intelligent IC ensures excellent performance and recognizes all kinds of 5V devices to deliver ideal current of up to 2.4A; improve output voltage when current is more than 1A to compensate the loss. Being tested, output efficiency of smart charging port is better than 80% products on the market, safe, smart and energy-efficient. Adopting MPS synchronous rectification of America, greatly improves conversion rate and reduces heat of the charger. Not replace the original, but exceed it. Super Charge technology can detect most of digital devices on the market and deliver ideal current to match appropriate charging speed and avoid the loss of battery life. 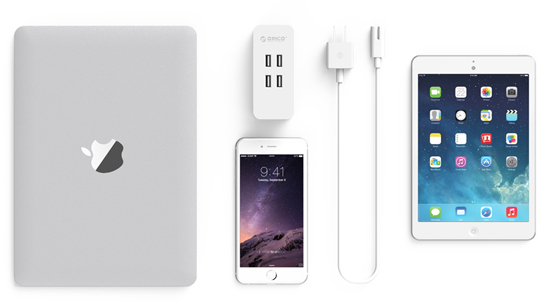 Not enough USB ports for multiple devices? Simultaneously out of juice with your partners? Take it easy. 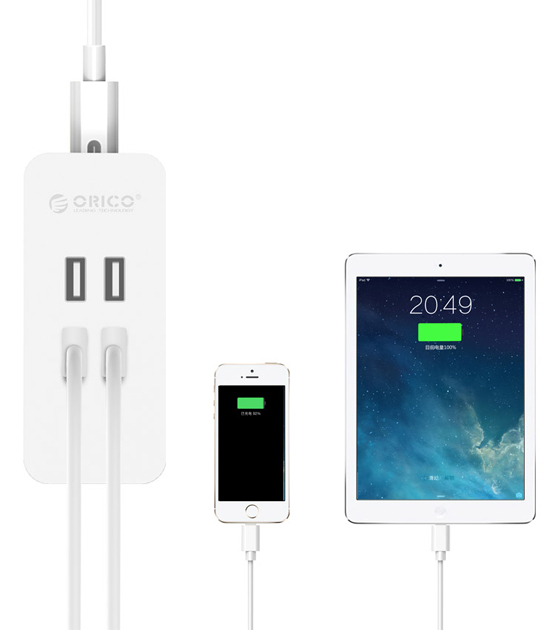 ORICO DCV-4U is equipped with 4 USB ports, which pumps out 5V2.4A per port, more convenient. As minimalist, we insist less is more. Compact yet sleek chassis makes it beautiful; black and white colors show classics, perfectly matching any usage scenarios. Its beautiful chassis made of PC & ABS plastic material makes it fireproof of up to 750? ; furthermore anti-scratch and anti-corrosion ability makes it more durable. 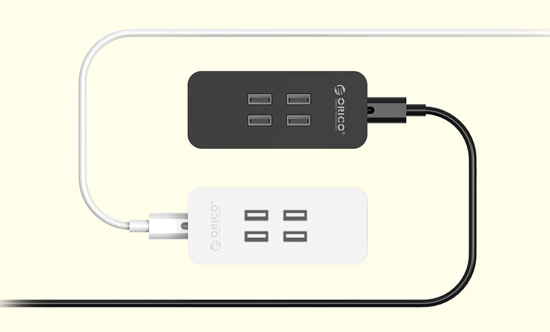 Separating 2 prong power cord, easy to store and carry, no distance limit of the socket.